Ανακαινισμένο το 2015, το Beijing Sunrise Hotel Beihai εγγυάται στους πελάτες του μια ευχάριστη διαμονή είτε βρίσκονται στη Πεκίνο για δουλειά ή διασκέδαση. Από εδώ, οι επισκέπτες μπορούν να έχουν άμεση πρόσβαση σε όλα όσα η πόλη έχει να προσφέρει. Με την βολική του τοποθεσία, το ξενοδοχείο προσφέρει εύκολη πρόσβαση στους προορισμούς της πόλης που πρέπει οπωσδήποτε να δείτε. Το Beijing Sunrise Hotel Beihai προσφέρει άψογη εξυπηρέτηση και όλες τις βασικές ανέσεις στους ενθουσιώδεις ταξιδιώτες. Για να ονομάσουμε μόνο λίγες από τις εγκαταστάσεις του ξενοδοχείου, υπάρχουν τα 24ωρη ρεσεψιόν, γρήγορο check-in/check-out, φύλαξη αποσκευών, ασύρματη σύνδεση Wi-Fi σε δημόσιους χώρους, χώρος στάθμευσης οχημάτων. Τα δωμάτια του ξενοδοχείου έχουν διαμορφωθεί προσεκτικά ώστε να παρέχουν υψηλό επίπεδο άνεσης και την ευκολίας. Σε κάποια από τα δωμάτια, οι επισκέπτες μπορούν να βρουν επίπεδη τηλεόραση, λευκά είδη, θυρίδα, σύνδεση internet (ασύρματη), ασύρματη σύνδεση internet (δωρεάν). Εξάλλου, το ξενοδοχείο διοργανώνει πολλά ψυχαγωγικά δρώμενα έτσι ώστε να έχετε πολλά πράγματα να κάνετε κατά τη διαμονή σας. Απολαύστε τις ασύγκριτες υπηρεσίες και μια πραγματικά περίβλεπτη διεύθυνση στο Beijing Sunrise Hotel Beihai. Great location it's super close from the Subway station, post office and supermarket. However, if you go alone during the night, you may not want to follow the nearest path to the hostel from subway station showed by the Baidu Map because it's so dark with no light. 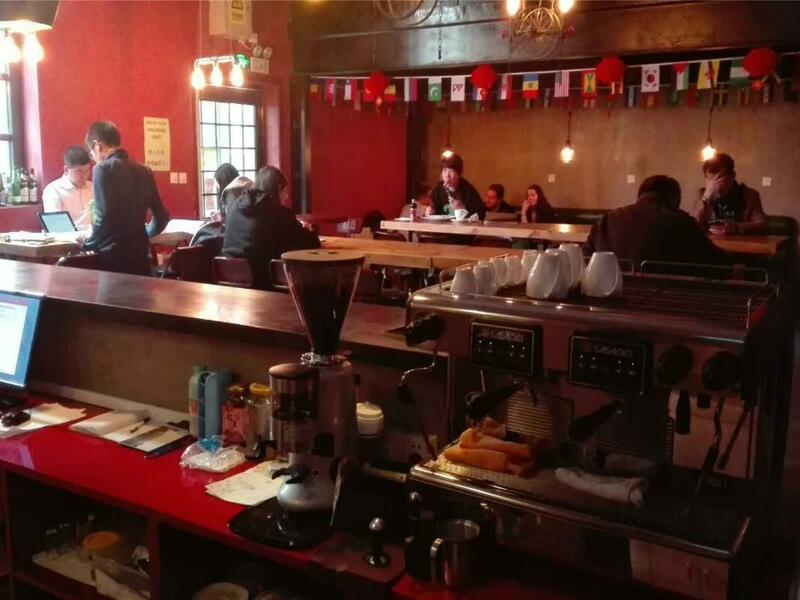 One of the best value-for-money places in Beijing. The staff was extremely helpful. Cheap laundry service. 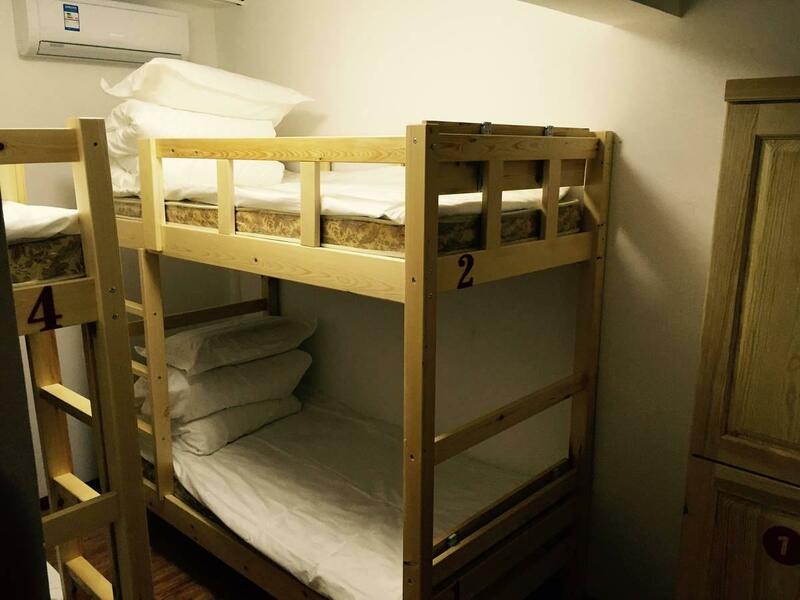 The dorm beds were a bit small, length-wise. And I'm not a tall person. The beer bottles in the bar were overpriced, but the draught beer is good. Sunrise was decently priced and convenient to the Forbidden City, but it was easily the least clean hostel I have ever seen. My girlfriend and I stayed in the twin bed room with private bathroom. The first room we were in smelled sickeningly of mildew. It appears the drains had backed up and had been fermenting for a few weeks. The staff was kind enough to relocate us to the only other available room, which had its own set of problems. For one, the prior tenant had apparently spent his entire trip chain smoking in the room, a complaint the staff refused to accept because 'smoking is not allowed so that is impossible' (as consolation they offered us a can of Febreeze). And two, as we learned a couple nights in, the room was infested with bedbugs. There were bloody streaks under the sheets and across walls where the bugs had been smashed and left there. This was our last night in Beijing so we stayed the night, but I continue to find the bugs in my luggage, so I regret the decision. Probably should have complained, maybe they could have moved us. Overall worst stay in quite some time. Went to the dining room at opening 7am, first to order, got my latte 45 min later. They don’t want outside food in dining area which isn’t very “hostel” like. I wouldn’t go back. The best thing it has going for it is it’s on the bus line to Bandaling and it’s a short walk to the forbidden city area and easy access to the subway. The location and price is good, but our room was really small and smelled really bad from cigarettes and god knows what. Fine for one night before transferring but I wouldn’t stay more. Also the breakfast at the bar/restaurant wasn’t very good. Room is not really clean, not very far from MRT station. Staffs are friendly but they gave me the wrong room number in the first place. Felt so akward when i opened the door and someone is resting inside. 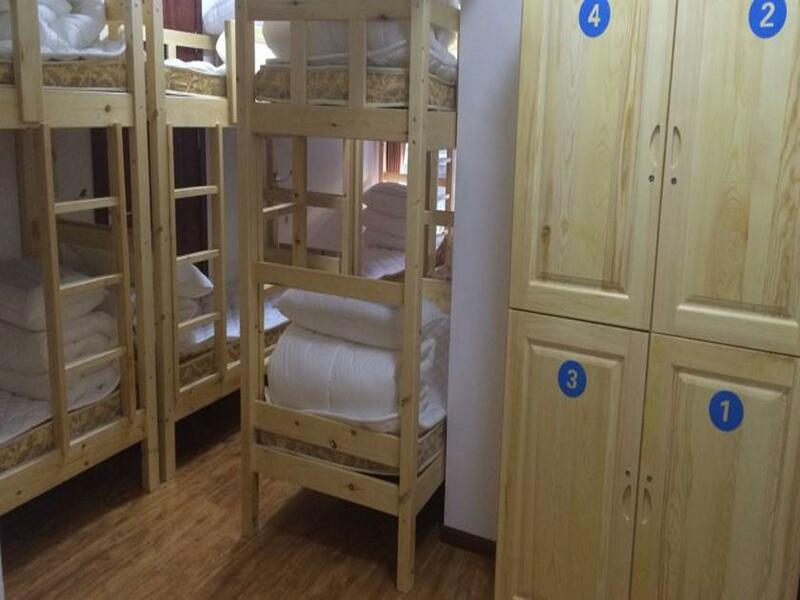 The hostel is cheapest accommodation in Beijing downtown. Location is so-so, not tourist attraction. There are limited Restaurants choices. 7-11 is 5-10 min on foot .Subway station is 400 m away.Common area is dark after sunset, hostel should have invested just for electric lamps for guests to read. The room we're staying is quite small. Toilet has a pee smell even I've washed the toilet myself. I think the drainage is the problem. 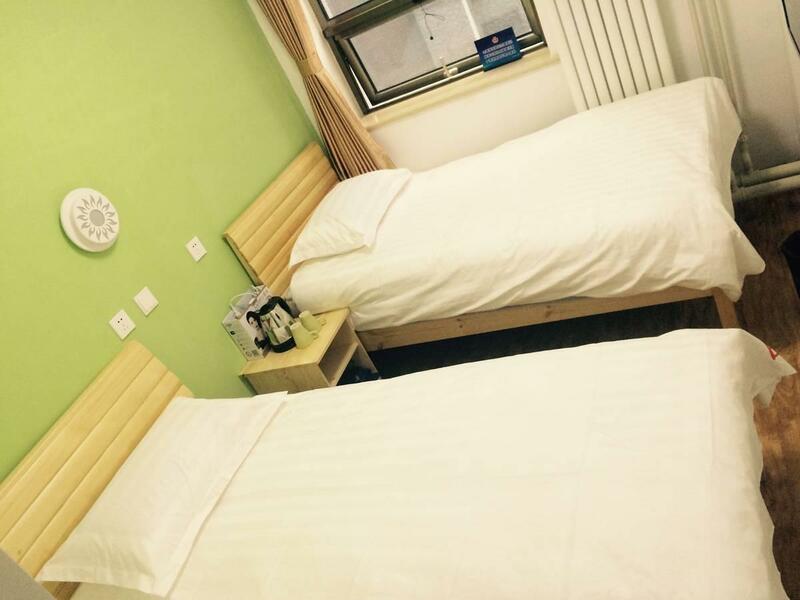 The plus point are wifi is very fast + staff speaks good english + laundry is cheap. Need to walk about 700m to the subway everyday. 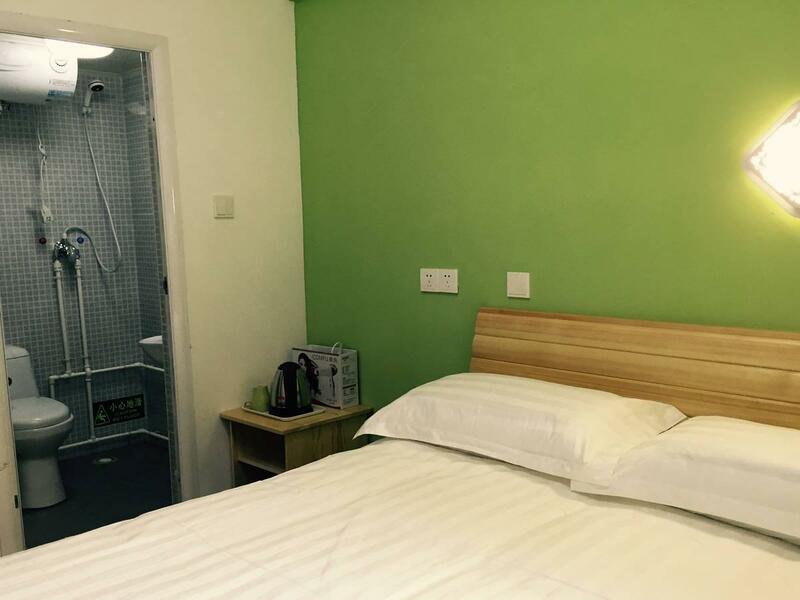 Fully equipped double room, although limited space, just nice for a couple. 24 hours receptionist, no problem in late check in and you can rent a towel at CNY5 after you check out (if you have late night flight) and take a bath before departure. No problem in storage of luggage and arrangement of taxi, CNY120 to airport. We were on a short visit with two children under 10, and enjoyed our stay at Sunrise Hostel. We stayed in the family room, which had two bunk beds and a bathroom. 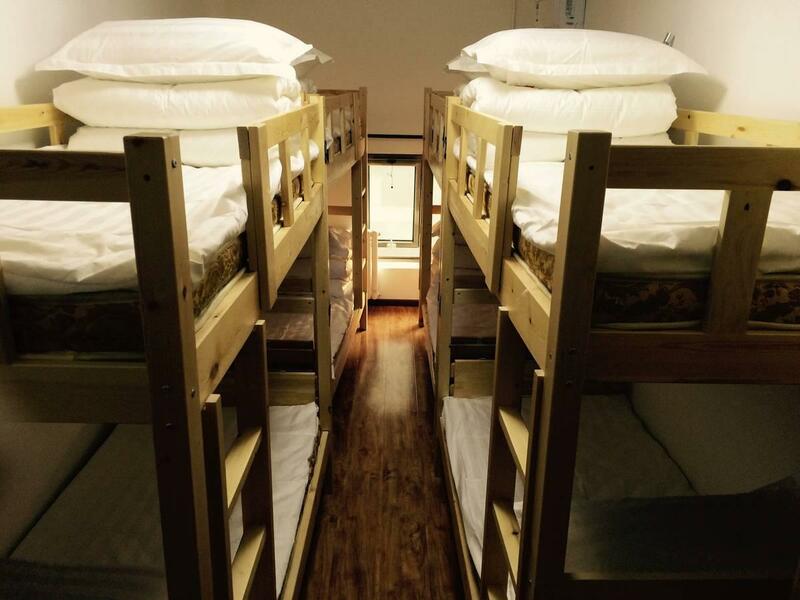 The amenities were bare bones, as to be expected with any hostel. It was not full of loud drunks (which can also be expected at hostels). The staff was very friendly. The most delightful part of the stay was the charming outdoor seating, perfect for an early morning coffee or an evening chat with friends. It is within walking distance of subway and bus. It was difficult to find, however, and most cab drivers were unfamiliar with the location. The address on the confirmation sheet is not accurate. Staffs are super nice, and the location is not too bad for the price. But the rooms are way too small and dirty. Water marks can be seen on the wall, and there are pipes on the ceiling which look pretty rusty. Experienced a little problem due to error on agoda's system but Benny, the staff, was totally helpful! He ensured me that I will get a bed there. He helped me call the agoda call center and came with solution. The other guy also helped me writing in chinese for some certain thing. The location is abt 10 min waljing fron Xisi station, but the neighborhood is great and quite. Internet connection is fast. Bathrooms were clean. It had hot water! It is approximately 10 minutes walk through small lane next to 西四 Metro station. Due to the extreme cold weather on the 1st day we arrived, it made the experience of strolling towards the Hostel less enjoyable. Neither many restaurants nor convenience store are located near this hostel. 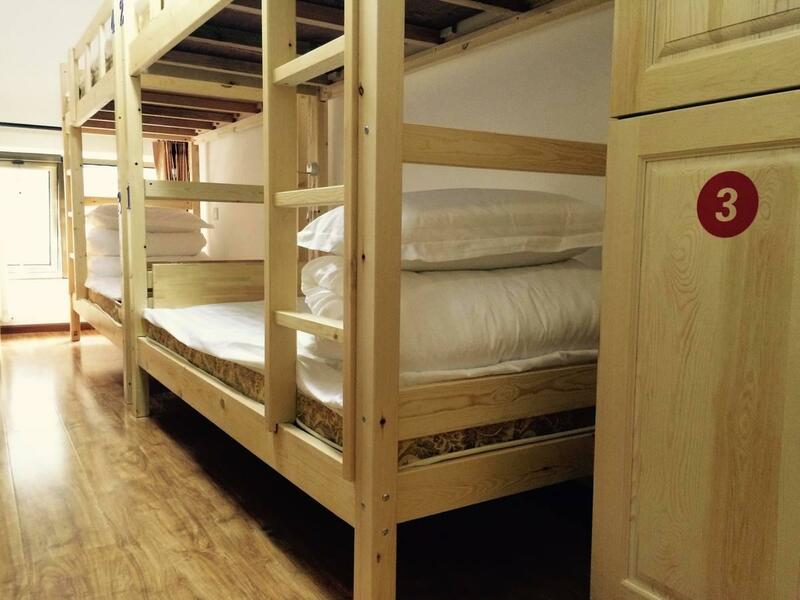 Nevertheless, as a budget hostel, it is not bad. In fact, the wall is thin, so I could here everything outside but this area is quiet so people were also quiet. Even tho the bar is on the first floor it didn't affect my stay at all. And the staff... they are super friendly.. I made a friend with one of them.. my boyfriend also liked this place too! I will definitely come again!!! Σταθμός Υπόγειου Σιδηρόδρομου Xisi στα 0.43 χλμ.